9 Apple Wharf is a spacious first floor apartment situated in the convenient location of The Plains and within easy walking distance to the fabulous shops, restaurants and amenities of Totnes. The property benefits from three bedrooms, two of which are double and extremely spacious. The sitting/dining room is generously proportioned and has room for a good sized dining table. The rooms to the rear of the apartment enjoy lovely views of the River Dart. 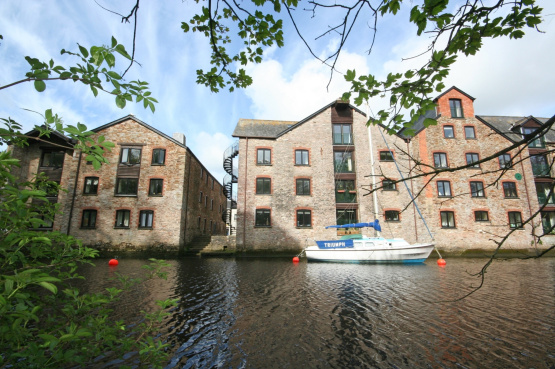 9 Apple Wharf is offered to the market with a guide price of £265,000. For further information please contact Marchand Petit’s Totnes office on 01803 847979.